Like we already said, Carmen Pozo Martinez organized, managed & developed the "Salvage Project". A beautiful women from Spain, that shows her own personality and gives immediately an impression that she stands for what she do and make. In this project she was free to make what she want; there where no rules and it resulted in a great collection. She gave each denim piece that little extra what makes us want to buy everything! We can't say more than that she did a really great job for a beautiful project. 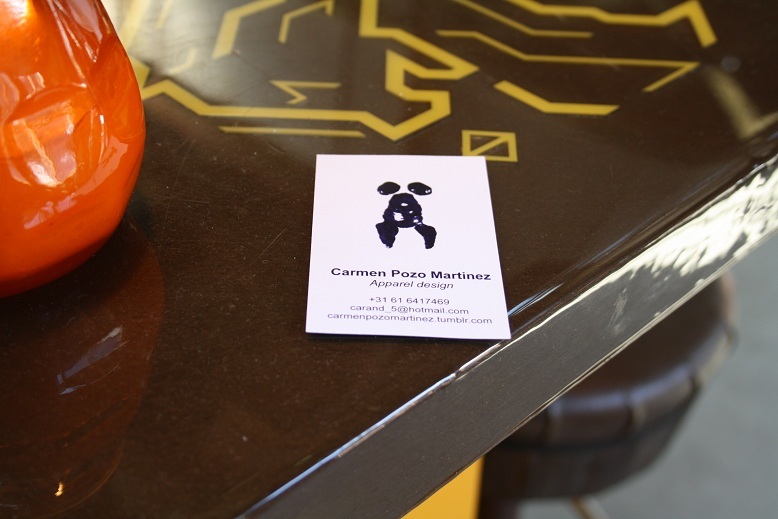 On the two pictures below you can see Carmen and her logo. Beside the great collection, the location was perfect. Roest café is located at an industrial part of Amsterdam The building was really interesting. An old building with a bar in the middle and full of old furniture like old airplain seats... everywhere you look you can see something, you can say for sure that it's an inspiring place. In the café you can also find a lot of art which was amazing! The paintings we've see were from 'Steven Ormeling' and the fine art you could find here was from 'Ap Essenbrink'. Both of them are dutch artists/ designers. The photos below give you an impression of the café and artwork. It was a very interesting event where we keped our eyes the whole evening wide open! It inspired us; the collection, art and people. 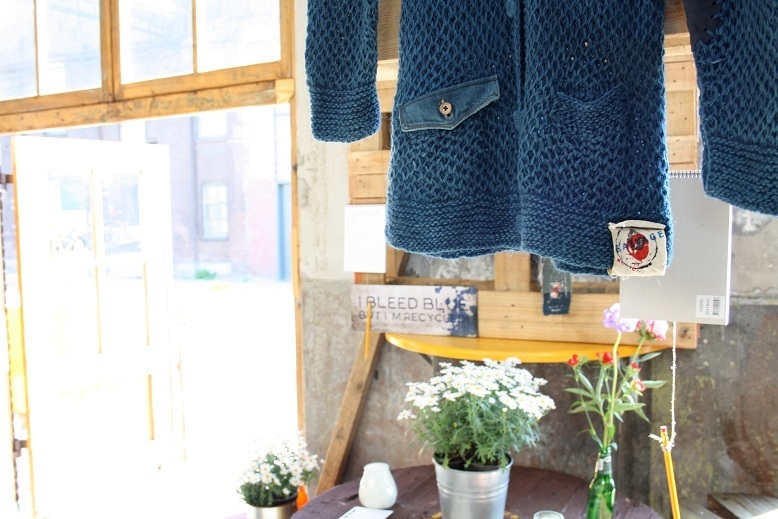 We liked this event especially because it fits in our idea of reuse clothes and clothes made in an ecofriendly way. Hope you all like this. We sure do! Ik zie zeker wel een paar items die ik zou willen hebben! Mooie foto's. You are so lucky to visit such incredible place!!!!! Wouw! Wat een super foto's! Wat super leuk dit! Die sfeer, echt zo fabriek en edgy love it. Leuke foto's en de collectie ziet er veebelovend uit! Leuke foto's.. wat een spannende collectie!